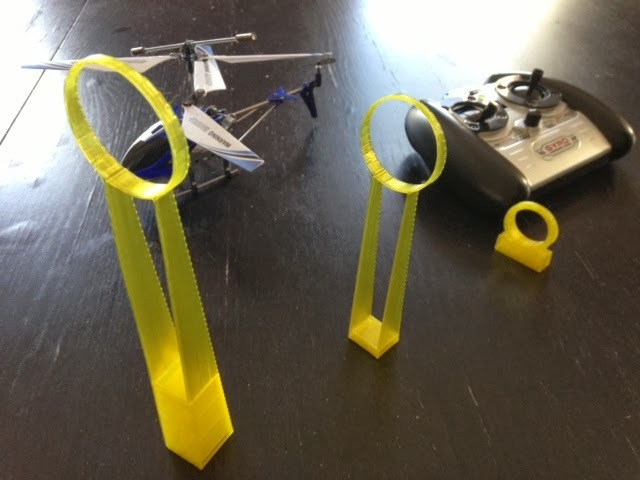 Our son recently saved up his allowance to buy a small remote-control helicopter, so today we made some rings for him to try to knock over and pick up with the copter. Settings: MakerWare low/.3mm, I think it was under 30 minutes for all three together. Stuff you might want to change: The medium-sized one is so light that it knocks over from the wind of the helicopter. Next time a larger base would be nice.